GPLC is a propionyl ester of carnitine (PLC) that includes a glycine component. Compared with other forms of carnitine, PLC exhibits a special affinity for muscle tissues, including those of the heart and skeletal muscles. 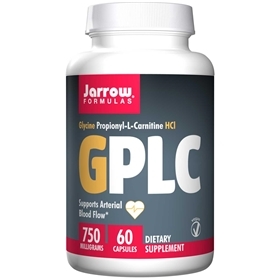 GPLC is a powerful antioxidant that scavenges free radicals – protecting against lipid peroxidation, assists in energy production – contributing to proper carbohydrate metabolism, improved muscle function and reduced lactic acid buildup during low-oxygen conditions such as exercise, and provides powerful support for peripheral arterial blood flow. No wheat, no gluten, no soybeans.